In March 2015 the Rosa Luxemburg Foundation (RLF) posted an essay by Michael Brie, the director of its Institute for Social Analysis, entitled “The Tragedy of Party Communism.” (www.rosalux-nyc.org/the-tragedy-of-party-communism/) The most remarkable aspect of this essay is its complete banality. It adds nothing to the oft-repeated indictment of Communism, Leninism, Stalinism and the Soviet Union. No new fact. No new idea. A couple of sentences can stand for the whole: “The horror of Leninism is that it broke with the most important maxims of the Enlightenment and treated people as objects as a mere means and not also an end in themselves. Party communism demolished the barrier between a person and a thing. It transformed the individual into ‘tools’ of the communist cause.” The themes of this essay have already appeared many times over from the archetypal Cold War screed, The God that Failed (1949), to the post-Soviet “scholarship” of the Black Book of Communism (1997). The obvious question therefore is why at this moment would Brie write this piece and why would the Rosa Luxemburg Foundation promote it. As this essay by one of its directors shows, instead of exposing capitalism, the Foundation is even more interested in trying to shape how people think about the history of socialism and in condemning and excluding from the dialogue the only leftist current that has ever actually succeeded in overthrowing capitalism. Of course, the more one knows about the RLF the less surprising its real purposes are. The RLF is the ideological arm of today’s German “new” social democrats. 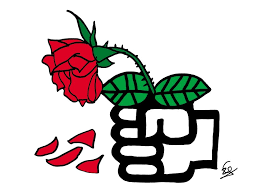 Or as its webpage proclaims, it is the “affiliated trust of the Party of Democratic Socialism (PDS), presently known as ‘Die Linke’ (The Left).” In this sense, the RLF is simply playing the historic role of social democrats since World War I, to attack revolutionary socialists and to try to turn the popular discontent of workers and others oppressed by capitalism into peaceful, non-threatening reformist channels. And in the process, they hope to establish intellectual hegemony on the Left and build their own electoral base on the basis of this popular discontent. What is social democracy? It advocates reformist socialism. It accepts exclusively peaceful and gradual methods of political action. It desires to replace class struggle with class collaboration. It adheres to the notion that the state stands above classes. It seeks a society of general prosperity within the bounds of bourgeois legality and bourgeois democracy. When in office, social democrats strive to achieve some reforms, but the main levers of class power remain the hands of big capital. Social democracy reflects its class roots. It is an intermediate ideology between that of the revolutionary working class and that of the monopoly capitalist ruling class. It expresses the motley class interest and the class outlook of the middle layers of society which include the old “classic” petty bourgeoisie (peasants, shopkeepers) and the large, new intermediate strata of modern monopoly capitalist society (independent urban professionals, unorganized white collar workers, lower management, intellectuals, etc.). Like the classes which are its material base, it is unstable. It vacillates between a working class and ruling class outlook. An opportunist current in the working class movement was apparent even in the era of Marx and Engels. Above all it was Lenin who comprehensively analyzed opportunism and connected it to the emergence of monopoly capitalism (imperialism). Yet, in the last century during which opportunism in the working class movement has taken an organized form in social democratic parties, there has been a recurrent tendency for a “Left social democracy” to emerge, willing to work with forces to its Left. In contrast “Right social democracy” prioritizes anti-Communism and always treats the Communists as the main enemy. As the Greek Communists have pointed out, this differentiation can be overstated. There are not two kinds of social democracy. There is only one, but its attitude to forces on its Left can vary greatly depending on concrete circumstances. Example: In the US during the long years of the Vietnam War, a Left tendency emerged in the Socialist Party. For one wing, grouped around Michael Harrington, the barbarity of the US aggression in Vietnam, which its apologists tried to justify by anti-Communism, proved unacceptable. The Socialist Party split. The Democratic Socialist Organizing Committee was born, (DSOC, soon renamed DSA, Democratic Socialists of America), leaving behind the right social democrat war hawks (renamed Social Democrats USA, SDUSA) under Albert Shanker & Co. who went on to anti-communist trade union careers. Still, there is something new, or relatively new, here. Unbeknownst to most political activists in this country, in the past few years the RLF has become a formidable intellectual and political force, not just in Germany, but internationally including in the United States. Since its founding in 1996, the RLF has become, in its own words, “one of the largest political education institutions in Germany,” and its reach has grown worldwide. Its budget has grown from 13 million euros (over $15 million) in 2006 to over 43 million euros (over $51 million in 2014). As of 2013, the RLF had 197 staff members, including 172 fulltime staffers, and had offices in 19 countries besides Germany, including Tunisia, Turkey, Mexico, Ecuador, Brazil, Belgium, Poland, Senegal, Tanzania, Russia, Serbia, India, Vietnam, China, Greece, Israel, Palestine and South Africa. In 2012, the RLF opened shop in the United States. It now has an office on Madison Avenue in New York City with at least 8 staff members. It is a growing presence at the Left Forum, the large gathering of academic social democracy held in New York City each Spring. The RLF has sponsored several conferences in the United States including one on “Mapping Socialist Strategies,” August 1-4, 2014 in Briarcliff Manor, New York. 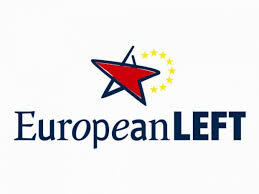 This conference brought together 100 “influential leftists” from Europe, Canada and the U.S. Among those who spoke from the U.S. were Frances Fox Piven, Bhaskar Sunkara (Jacobin magazine), Elandria Williams (Highlander Center), Steve Williams (LeftRoots), Sarah Leonard (The Nation), Laura Flanders (Grit.tv), and Maria Svart (Democratic Socialists of America). Who is paying for these far-flung offices, full-time staff members, slick publications, plush offices on Madison Avenue, and conferences in lush settings that bring national and international attendees? The answer is easy to find. The Annual Reports available on the RLF websites ( www. www.rosalux.de/english/foundation.html and www.rosalux-nyc.org) show that the bulk of the financing of the RLF comes from the German government. Almost all of the millions of dollars spent by the RLF comes from the German Federal Ministry of the Interior, the German Federal Ministry of Education and Research, and the German Federal Ministry of Economic Cooperation and Development. Does anyone in their right mind think that the government of the leading capitalist power in Europe is spending millions of dollars a year to develop serious critiques of capitalism and real strategies to overthrow it? Lenin may have said that the capitalist criminals will sell the ropes to hang themselves, but this is hardly the case here. The most plausible explanation for what is behind the RLF, and what is behind the Leninist-Stalinist-Communist bashing of Michael Brie, is the continuing, protracted crisis of capitalism. The crisis has been ongoing since the financial meltdown of 2008 and is manifesting itself in many ways including the financial crisis in Greece (and impending financial meltdowns in Italy, Portugal, and Spain), the growing consciousness of income inequality, the growing police violence, and the spreading imperialist military conflicts in the Middle East, Africa, and the borders of Russia. This crisis poses a grave threat to social democratic parties and policies. Their appeal rests on their promises to manage this crisis—to avoid austerity, to avoid increasing the economic suffering of workers and other people, to reduce military conflicts and so forth. 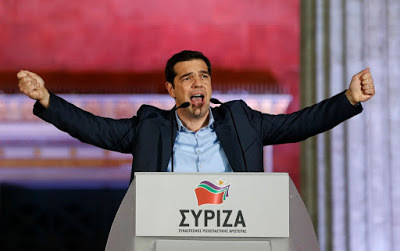 If they cannot do this—if Syriza cannot find a way out of financial and economic ruin for the Greek people, if Obama cannot find away out of Iraq, Syria, Afghanistan and the Iranian imbroglio, if police violence and the 1 percent cannot be reined in, and, the chances grow slimmer by the day– then social democracy may well find itself facing a new challenge from the left. And as in Greece, the only viable alternative on the left is the revolutionary left, like the Communist Party of Greece. Hence, through the work of the RLF, the social democrats are trying to foreclose this alternative by bashing the history of communism and the Soviet Union and by establishing or reinforcing the hegemony of reformist, pacifist, social democratic ideas among those who are critical of capitalism and imperialism and those becoming disillusioned with liberals, Democrats and other reformists. The history of the left in the 1960s in this country shows that in this respect the social democrats are not stupid. In situations of crisis and political struggle, political consciousness can develop very rapidly in directions that liberals and social democrats abhor. In 1960, the word socialism was virtually unspoken in the United States. Ten years later, after the struggles against racism and the war in Vietnam, and after assassinations, riots, and police repression, nearly all political activists thought of themselves as revolutionaries and as some kind of Marxist or Marxist-Leninist. Many honest working people and activists, consciously or unconsciously, hold reformist views. It is the job of Marxists to engage them and convince them of our viewpoint. Those Left socialists who up till now have seen the implantation of an open-handed, government-and-corporate-funded RLF in the US as a helpful and positive development should reconsider their attitude to an organization so willing to pick up the banner of crude anti-Communism. In Germany, Die Linke may be fairly described as Left social democracy. But that cannot be said of Michael Brie’s venomous article published by RLF. Brie makes his right social democratic passions clear: he has a “horror” of Leninism, but he has no horror of imperialism. His GDR background makes such a stance all the more repellent. If they were lucky enough to escape execution, the German Communists and German social democrats who shared prison cells in the Hitler era saw the need for unity in action after 1945. Brie has forgotten that history lesson or he never learned it. His article reopens wounds of division that cost the working class movement dearly in the twentieth century. In the US working class movement there are political differences. They are likely to persist for some time. Our class needs unity in action, not division arising from the demonization of Communists, a revival of Right social democracy, and the slander of the gigantic achievements 20th century socialism. Without giving up the ideological struggle against reformism, we need Left -center unity on many practical issues. Michael Brie’s polemic makes that unity more difficult to achieve. NextThe Doctor Will See You Now. First, Your Copay. Opportunism, Reformism, Revisionism	Is There a Future for Social Democracy?